At Michi´s Skischool, your child can enjoy ski classes from the age of 2! Your little one will be introduced into the world of skiing in a fun filled and playfull manner. We have something on offer for every snowboarder: Children, adults, beginners and even spoiled pro´s will find something to their liking. Gerlos is part of the Zillertal Arena, the largest skiing area of the Zillertal valley. It extends from the village of Zell im Zillertal via Gerlos to Wald-Königsleiten and Krimml-Hochkrimml. 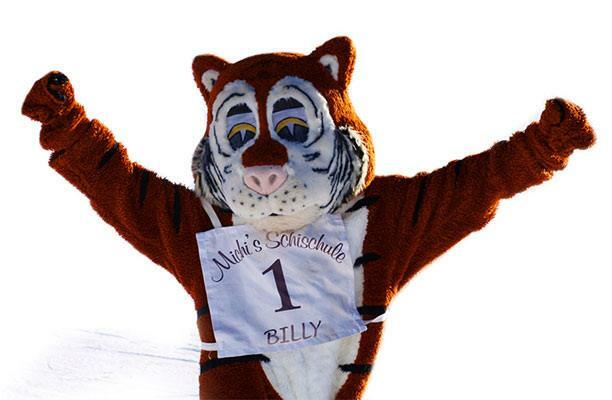 I'm Billy, Michi´s Ski school´s mascot. We will have lots of fun together during your skiing holiday in Gerlos. You can already meet me now. See you soon in Gerlos !